Ferrero’s sustainability strategy is supported by our corporate social responsibility’s strong vision: “Sharing values to create value”. This means that our way of creating value is not just based on leveraging strong unchanged values, it also implies the responsibility to share them with all stakeholders: inside the company, towards consumers and families, for the communities where we operate and other organizations with whom we are affiliated. 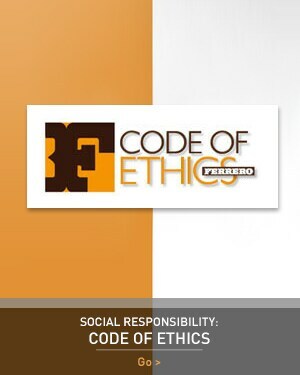 The Social Responsibility reports aim to illustrate the strategy of social responsibility and sustainability of the Ferrero Group and its related initiatives developed worldwide. To discover all the contents relative at the Corporate Social Responsibility Reports, visit www.ferrerocsr.com.